owner/operator of West Coast Distributing is no new guy to the bike world. Like most people in the business Barry has been on two wheels ever since he was a young boy. He started his first real job working on bikes in the early 70's right here in Tujunga. His love for building motors to the edge started with his Triumph 650. He did all the motor work as well as fabrication on it. Years past, and like the bikes Barry now builds, he was tuned to top horsepower. His real dream came true when he opened the doors to his first shop in 1978. One of the first privately owned bike shops for miles around Barry started to build his reputation as the guy who knew how to squeeze that extra pony out of the motor. That 900 sq. ft shop was soon to small to handle Barry's needs. 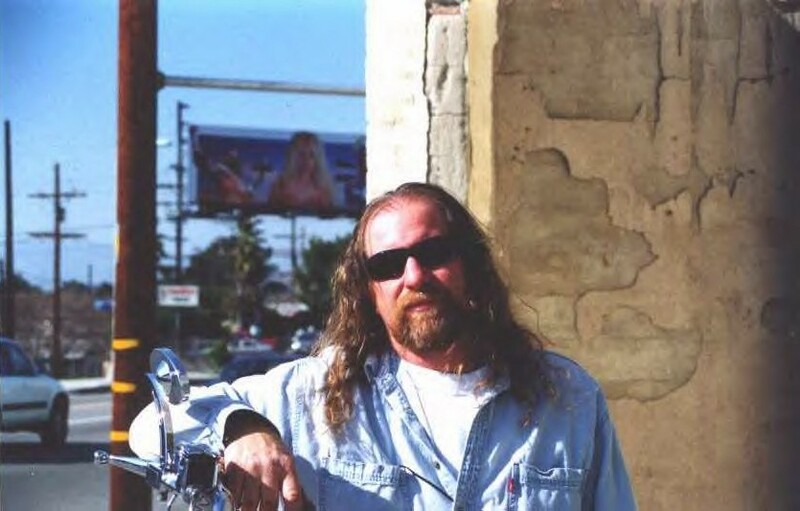 The community had recognized Barry as one of the top Harley Davidson builders around. Barry has since become known in the Southern California area as the guy to talk to. Whether at one of the many swap meets he does or at his shop, Barry can always be found answering someone's question or holding a part in his hand. His new store affords him more of the space he needed to serve his customers with front-end parts, retail business as well as a full service shop. He is now up to over 6000-sq. ft. not to mention several warehouses holding new as well as pre-owned parts. You may have seen Barry at Sturgis where in 1996 he took the 1st place honors of "MOST HORSEPOWER OVERALL ". In 1998 Chuck Sanford took 1st place at the Mikuni Calendar Show with a bike built by Barry pushing 105 HP to the back wheel produced by Barry's own designed natural aspirated gas motor which was featured in Sports Track Magazine. This would prove to be the basis for Barry and West Coast Distributing's legend. Build it big, fast, and bullet proof. He has never lost that feel for the "Old School" scooter but incorporating "High Tech" ideas. Barry won't kid you, he has turned his business into a money making enterprise which affords him the opportunity to pass his super prices on to the customer. At any time you can stop and see the old timers as well as the new up and coming enthusiastic Harley lovers hanging out at the shop, going over ideas, and getting answers. No matter what it is they all have a story to tell. Barry gets personally involved in any customers bike as much as he can. If he can give a tip or show you how to make it scream while saving a buck, he is right there. Next to his three lovely daughters West Coast Distributing is his first and only love. He isn't just passing through and is always looking for a way to do it better. Barry is not only an asset to the community, but a guy who does what ever he can to show the public that they shouldn't judge someone by what the use for transportation. There is good to be found in all kinds of people.